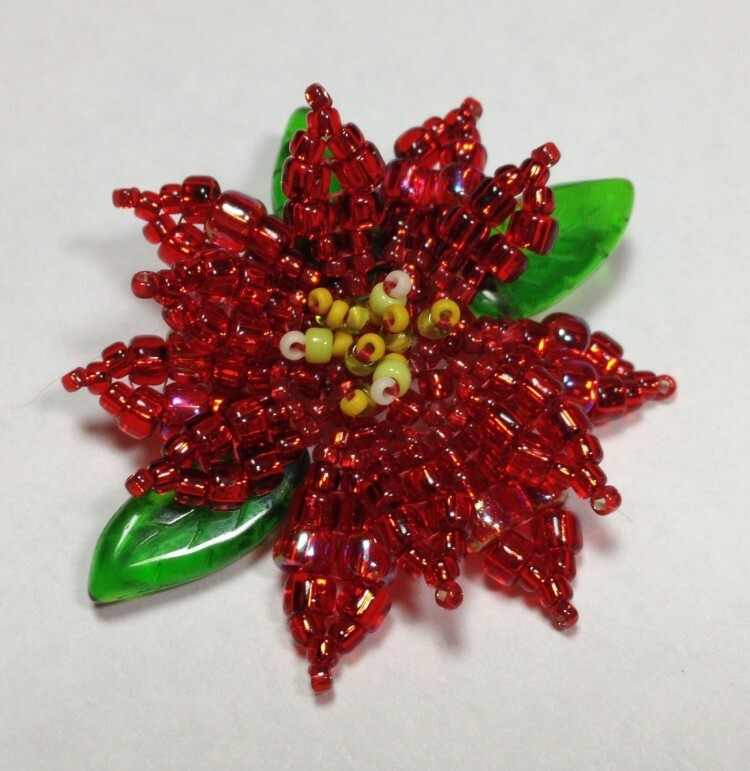 Just finished this beautiful Poinsettia brooch. Too late for Christmas but ready for next December! 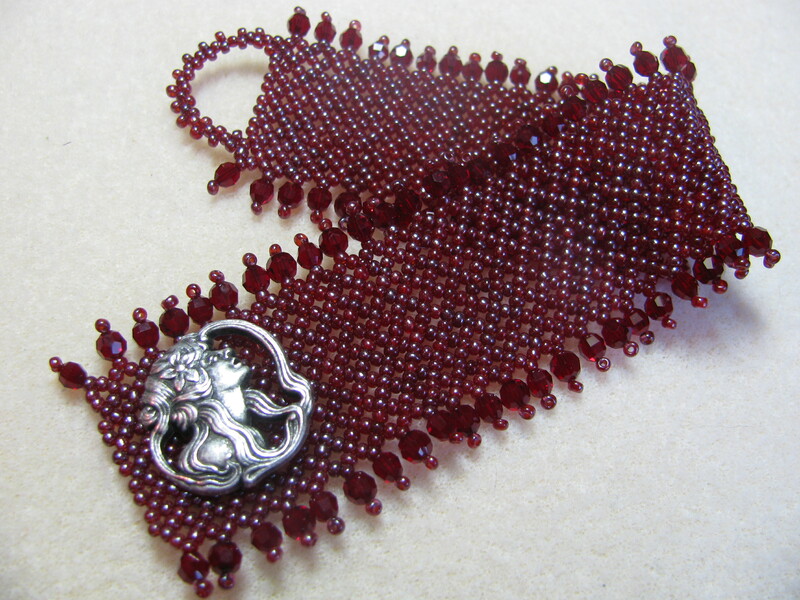 I purchased this kit a couple years ago at the Beadcats sale in Wilsonville, OR. Designed by Virginia Blakelock, this flat circular herringbone project has well written instructions and is a very fun and rewarding little piece to stitch! Did you miss me? No excuses… I’ve neglected my site and I’m going for a fresh start! I’m still Karie and I’m still a beadaholic (some things never change). It’s January and that’s when everyone decides to turn over a new leaf, or at least toss a little water on the old one with hopes of reviving it. Whatever the case, this is my attempt at rebuilding my business. I’ll be posting the wanderings of my bead filled life and the avenues in which they take me. There will soon be more pictures, links, classes, thank yous and lots more beady bits. I hope you are as excited as I am! Stay tuned for some exciting class offerings coming soon!! 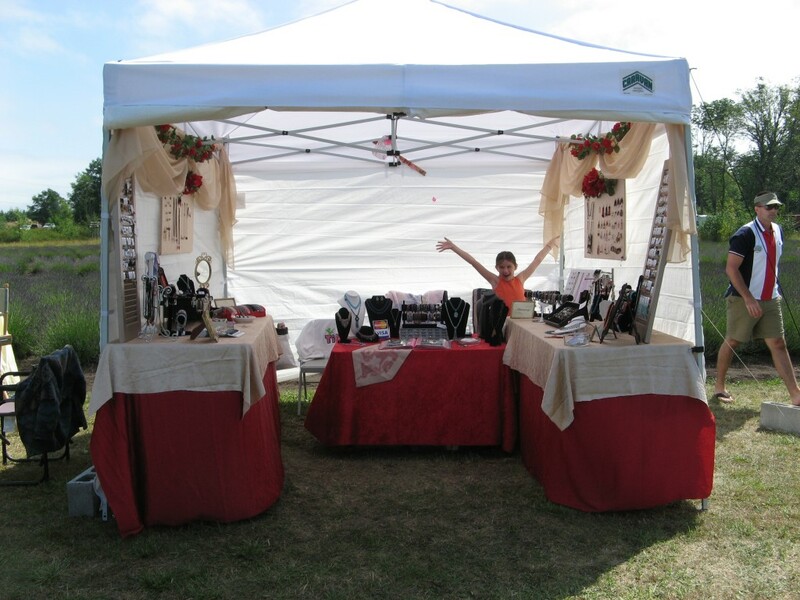 Once again, this Summer, we will be setting up shop at the 2009 Lavender Festival in Sequim, Wa. Come see us on the gorgeous Sunshine Herb & Lavender Farm, proudly presented by Steve and Carmen Ragsdale. Their farm is by far the BEST one on the tour!! A definite must see! 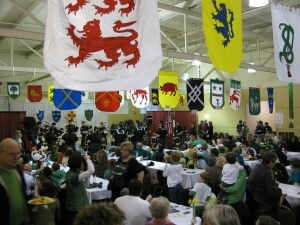 The dates for this year’s festival will be July 17-19, 2009. The farm is located at 274154 Hwy 101 in Sequim, Wa. 98382. For more information on the festival or farm please visit these sites: www.lavenderfestival.com or www.sunshinelavender.com. 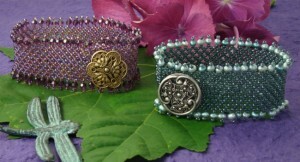 I have many new pieces… from ‘jeans & t-shirt casual’ to downright ‘Bling-a-Bling Bling’! I look forward to meeting you and visiting with those of you I’ve met before! This Summer I will be at the Lavender Festival in Sequim, Wa. My booth will be located on the fabulous Sunshine Herb & Lavender Farm, owned and operated by Steve and Carmen Ragsdale. The festival will be July 18-20, 2008. The farm is located at 274154 Hwy 101 in Sequim, Wa. 98382. For more information on the festival or farm please visit these sites: www.lavenderfestival.com or www.sunshinelavender.com. Come on out and see all of the new items I have created just for the festival. If you are a purple or lavender LOVER, you will be in heaven!